Comments from UN, Embassy, congressional reps, for our 2800 km bike trip. Welcome to the supporters section where you will find comments from UN, Embassy, congressional reps, etc.. To add your self to this list click here. or choose from the menu below to skip to a differnt support page. Information: The Center for Russia, East Europe, and Central Asia (CREECA) is a U. S. Department of Education Title VI National Resource Center. It was established in 1993 to unite the efforts of two longstanding University programs--Russian and East European Studies, and Central Asian Studies. CREECA consists of over 100 members who are nationally and internationally recognized experts in their fields. On behalf of the Center for Russia, East Europe, and Central Asia (CREECA) at the University of Wisconsin, I am writing in strong support of the upcoming bicycle trip from Switzerland to Kiev. This team is working in a unique way to raise public awareness about the current issues surrounding the Chernobyl disaster. Over the past several years CREECA has worked on several projects related to Chernobyl (in cooperation with Friends of Chernobyl Centers US--FOCCUS), including a teacher workshop (1999), a study tour to Chernobyl (2004), and a conference dedicated to the twentieth anniversary of the disaster (2006; more information at http://www.creeca.wisc.edu/chernobyl2006/). This new initiative by the team of cyclists will help to keep Chernobyl in the public eye and we commend their efforts and wish them the best of luck on their trip. Name: Andrew G. Sowder, Ph.D.
Information: This is a PERSONAL letter of support and this letter should not be construed as an official endorsement in any way or imply any affiliation to any group or body. I am writing to commend your decision to dedicate the proceeds from your upcoming cycling trek from Fribourg, Switzerland to Kiev, Ukraine to a deserving organization--Friends of the Chornobyl Centers U.S., Inc. (FOCCUS). Twenty years after the Chornobyl accident, its legacy continues to impact the lives of many in Ukraine, Belarus, and the Russian Federation. As a technical foreign affairs specialist with the U.S. government, I have worked extensively on Chornobyl related issues, including international efforts to mitigate the consequences of the accident. In this capacity, I have become familiar with the work that FOCCUS does on the ground in the affected regions and have come to respect and admire the generosity and dedication of FOCCUS members and supporters. The displacement of hundreds of thousands of people following the accident resulted in massive social disruption and severe economic hardship. Lingering fear and uncertainty associated with Chornobyl related health effects continue to factor heavily into the daily lives of the people. A consensus has been reached among the United Nations agencies and the governments of Ukraine, Belarus, and the Russian Federation that a path forward for recovery is needed and such a path should emphasize mitigation of social and economic problems. It is worth noting that FOCCUS has been addressing these needs since its inception. The FOCCUS mission, to support community centers in Chornobyl affected areas, promotes social and economic recovery at the grass roots level through education, training, and psycho-social support. Accordingly, your support for FOCCUS promises excellent returns from the each calorie you burn as you approach Kiev. Information: Kelly H. Clifton is an Emeritus Professor of Human Oncology at the University of Wisconsin Medical School. It is with awe and humility that I write to congratulate you for your physical strength and mental stamina and for your generous efforts on behalf of those whose lives were disrupted by the Chernobyl accident. I am sure your achievement will bring FOCCUS to greater public attention, and thereby will help them to continue and expand their work with those damaged by the disaster. I am a radiation biologist who served for a few years as Chief of Research at the Radiation Effects Research Foundation in Hiroshima and Nagasaki, Japan. RERF is dedicated to life-span studies of the atomic bomb survivors and their children in the two cities. Hence I am aware of the dose-related illnesses that afflict those who were exposed to atomic radiations. Indeed, some RERF staff scientists and physicians have helped evaluations and continuing studies of the health effects among the Chernobyl-exposed populations. You have joined a worthy cause. May you have great good fortune in your future endeavors. President Chernobyl Children Project USA, Inc.
On behalf of the Board of Directors, Management Team, staff and volunteers, we offer our heartfelt support of your bike trip. As an organization that works to improve the quality of life for Chernobyl survivors, we applaud your efforts and support your goal of raising awareness about the effects of the Chernobyl disaster. During this 20th anniversary year, it is more important that ever that we raise awareness and an understanding of the continued plight of the Chernobyl region. As you know, the region continues to suffer physically, emotionally and financially. Even now, twenty years later, the effects of radiation continue to contaminate the region and the health of its people. Due to the lack of modern medical care and little access to health care, the Chernobyl region needs help to ease the suffering of its inhabitants. 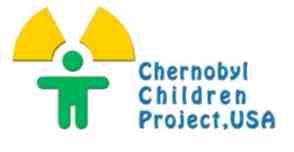 The Chernobyl Children Project USA, Inc. is a non-profit 501(c) 3 organization providing respite and relief to children whose health has been affected by the 1986 Chernobyl Nuclear Accident. The children, ranging in age from 8 to 13, have radiation-related illnesses and come to Boston to live with “host families” for a four-week period ~ where a month of clean food, water and air greatly increases their health. Since its inception in 1995, the Project has brought over 1,200 children to the Boston area, gained support from the New England Medical Center Floating Hospital for Children, and physicians who together with the project have offered the children a sense of hope to live. We are anxiously awaiting the arrival of 92 children on June 21, 2006. Like you, we are hoping to do all that we can to aid these special children and raise the world’s awareness of Chernobyl so that others will work with us to help those in need. Thank you for your dedication and passion to the Chernobyl cause. We appreciate and support your selfless efforts. We send our best and wish you success, health and happiness for your journey. Information: Irene Zabytko is the author of such works as When Luba Leaves Home (Algonquin Books, 2003), The Sky Unwashed (Algonquin Books, 2000) and has also given talks for FOCCUS inc.
What a fabulous idea! Not only will you be bringing awareness to the Chernobyl disaster and the devastating consequences that so many are still experiencing after 20 years since the reactor exploded, but you are also raising funding to support FOCCUS which is a great humanitarian organization. In the past, I've had the privilege of reading my novel about Chernobyl, THE SKY UNWASHED at FOCCUS's fundraisers in Madison, Wisconsin, and Bethesda, Maryland, and it is without a doubt one of the most responsive and outstanding organizations for helping Chernobyl survivors. Their presence has been invaluable for saving and upgrading the lives of those afflicted by the worst nuclear disaster on our planet. I look forward following you along on your trip. All very best wishes for your important journey. Godspeed! Information: Michael Patrick is an Emeritus Professor of Medical Genetics at the University of Wisconsin-Madison; and Science Consultant, Center for BioMolecular Modeling, Milwaukee School of Engineering. Your upcoming, inspiring 1500 mi bike trip to raise public consciousness about the complex issues still surrounding the Chernobyl disaster was recently brought to my attention by my close friend and colleague, Norma Berkowitz, President of FOCCUS. As a former researcher in radiation biophysics, I have had a more than an abiding interest and concern in the aftermath of Chernobyl. This was focused more intensively when I began to work with Norma on increasing awareness of the persistent problems and the lessons to be learned, both through FOCCUS and the community awareness, but even more by helping to integrate this into interdisciplinary curricula in the high schools and colleges. So, you see that you have many working along with you on this very important problem and who embrace and support your undertaking on its behalf. It is with great interest that the Embassy of Ukraine in the USA has learnt about your bicycle trip from Frieborg, Switzerland to Kyiv in commemoration of the 20th anniversary of the Chornobyl catastrophe. We applaud you for your courage and express our sincere gratitude for your efforts aimed at raising public awareness about the complex issues remaining even 20 years after the accident. We assure you that this initiative of yours will meet sincere appreciation by the Ukrainian people, which would honor you in your efforts to focus attention on Ukraine. The Embassy also wishes to express the words of gratitude to the Mission of Friends of Chernobyl Centers, U.S. Inc. (FOCCUS)  the organization which has been actively supporting your courageous action as well as a number of other important endeavours in this sphere.